No, no, no, this isn’t SILENT NIGHT, DEADLY NIGHT (1984), that infamous yuletide killer flick with the similar title. 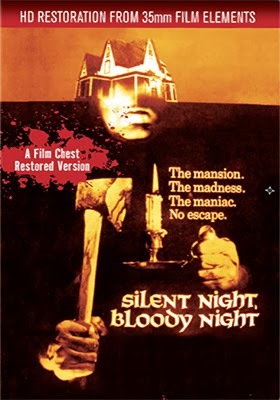 SILENT NIGHT, BLOODY NIGHT is a slow-burn oddity with atmosphere and eclecticism (and budget holes) to spare, but style and set pieces that prefigure so many elements of Bob Clark’s BLACK CHRISTMAS (1974) – killer in the house, creepy phone calls, cold, dark shadowy nights – that I assumed this must have been a Canadian production. It’s actually not, it’s shot in Long Island, even if Frank Vitale (director of EAST END HUSTLE (1976) and MONTREAL MAIN (1974)) shares an associate producer credit with a young, pre-Troma Films Lloyd Kaufman (!). But in this bleak, measured, old dark house creeper, where everyone cranks down the performances and the mood is perpetually grim, it sure feels like a miserable Canadian Christmas. That said, this barely qualifies as a holiday horror, except for the funeral dirge “Silent Night” as the book end refrain to a very unusual soundscape, which has more voiceover than almost any movie I can think of (more on that later). The plot is scattershot but interesting: a hot shot big city attorney (Patrick O’Neal) and his adulteress (Astrid Heeren), come to a tiny, backwater town to oversee the sale of the local haunted house on behalf of its current owner, Jeffrey Butler (James Patterson), estranged grandson of notorious original homeowner Wilfred Butler, whose shady history, whatever it is, still lords over the abandoned monument. The prospective buyers are the town’s community leaders, including John Carradine in a non-speaking, grunts-only role. All are hostile regarding the subject of the house, but no one tells its secrets. 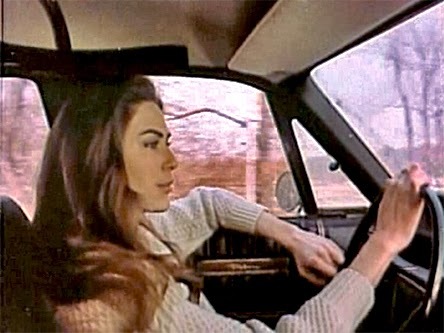 After a surprise Marion Crane-style first act massacre of our original duo, the lead roles fall to the sheriff’s daughter, a young, beautiful and very capable Mary Woronov, married at the time to director Theodore Gershuny (who followed this film with SUGAR COOKIES (1973) also starring Woronov and produced with Kaufman), and James Patterson, the film’s enigma and blood relative of the dreaded old quack. Despite Jeffrey’s evasive attitude and sketchy plan to sell the haunted family estate for a quick buck, he wins over both Woronov and the audience while keeping his intentions guarded every step of the way. Patterson and Woronov deliver their lines with such seriousness and clarity that the red herrings and perplexing allusions are unusually effective for this kind of flick, even as the murders rack up at a fairly predictable but never uninteresting pace. Patterson actually died of cancer soon after production wrapped, without ever recording his dialogue track. So I don’t know who to thank for this dubbed performance, but Patterson still gets full marks for that one-of-a-kind pock-mocked face and refusal to pick a clear path through the story. This is one of those films where every character seems to have an internal monologue (like David Lynch’s DUNE). I’d wager there’s more monologue than dialogue in SILENT NIGHT, BLOODY NIGHTS’s 85 minutes, and I think it took a full eight of those right off the top before we experienced actual synch sound (or an approximation of…). Initially, this had me thinking of Doris Wishman’s utterly insane but mostly nonsensical A NIGHT TO DISMEMBER (1983), but SILENT NIGHT, BLOODY NIGHT takes that weird energy and churns out a captivating, eerie and reasonably cohesive story of abuse, madness, murder and revenge. There is one over-long explanatory flashback sequence in sepia that lasts 12 ½ minutes, which really pushes the patience limit. This long aside is a campy and uncomfortable tale of lunatics taking over the asylum, and features a number of Woronov’s old buds from her days in Andy Warhol’s Factory, including Ondine and Candy Darling, as giggling hedonists and mental patient murderers. 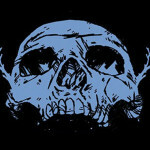 As for the DVD itself: No extras, and the title on the print is DEATHOUSE, which I find kind of funny. This Film Chest release claims to be an HD restoration from 35mm film elements, but I’m not sure what they restored. The print is extremely scratchy at times, the blacks often consume everything. Regardless, the grey, murky colour scheme and general disrepair adds to the dislocated spirit of the film. The cover art, which stacks an image of the Butler house, center-top, over an axe-wielding man’s face, really, really looks to me like Judge Dredd with his helmet on. And I can’t finish this review without mentioning the make-up artist, “Pat Pizza”. Not perfect by a long shot, but recommended for those in the mood for slow, brooding, house-in-the-countryside terrors like DON’T SCARE JESSICA TO DEATH or MESSIAH OF EVIL, and of course BLACK CHRISTMAS, or if you just want to look at Mary Woronov circa 1970. I mistakenly rented Silent Night, Deadly Night instead of this a couple of months ago.